Furniture Expo Center Mangrove Bay Mangrove Bay in Guangdong Furniture Exhibition Co., Ltd. developed the strength, Furniture Trade Fair is a showcase and brand promotion as one of the major brand furniture sales center. Mangrove Bay, adhering to the "brand names, premium affordable" development ideas, quality service to the concept of constantly striving for perfection, pushing song "quality assurance, money back guarantee, professional guarantee, credit guarantee, to ensure the green, low-cost commitment" 6 100 % marketing purposes, mangrove Bay Road to create another precedent for the furniture industry. 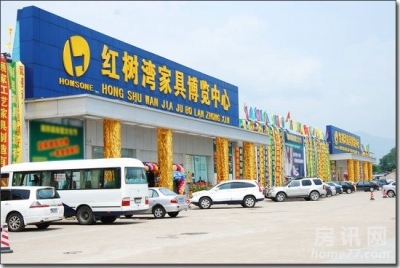 Mangrove Bay in based in Guangdong, the country, has opened a shop in Hoi Chu Xiaogang, welcome flowers shop, shop welcome Panyu, Zhaoqing Duanzhou shop, shop Wan Kang, Fukunaga Fubon shop, Luohu Sungang shop, Buji Dan bamboo first store eight super chain stores, with nearly 50 million square meters of large scale enterprise groups, furniture, building materials, mangrove Bay, a huge development has attracted significant community interest, and known as "the furniture industry McDonald's. " Mangrove Bay's vibrant, high-spirited. Mangrove Bay, who governed with the times. Mangrove Bay, looking forward, trying, with full of passion and innovative spirit, create brilliant performance, create brand foundation.